I am a little bit excited to get a chance to visit the two Chinese giant pandas which mark the 40th anniversary of the establishment of diplomatic ties between Malaysia and China. They are staying at the Conservation Centre, National Zoo for ten years. And for the first time ever, I have a chance to see them up close and personal before the Conservation Centre open to public after the launching ceremony. Always check with the Zoo Negara website for the latest information. So far they have been updating the site with new attractions, information and operating hours. Remember that the entrance fee to the giant panda is not included in the Zoo Entrance fee. 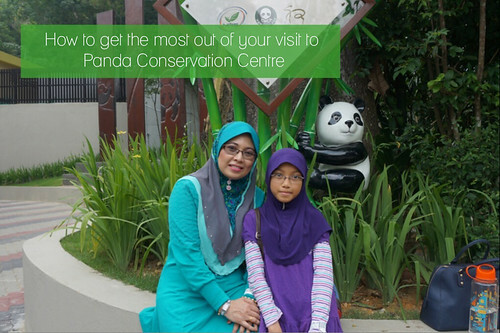 Before you enter the Panda Conservation Centre, you are going to wait in the main entrance until they have cleared the previous visitor. There are limits of how many people can enter the conservation at one time. I made a mistake of going to the centre during lunch hour. Those two pandas were sleeping comfortably. So cute though but I can't see them move around or play around with each other. Try to be there in the morning when they are active and in the mood for company. I think most of the animals outside were also sleeping due to the heat and it's after their lunch. 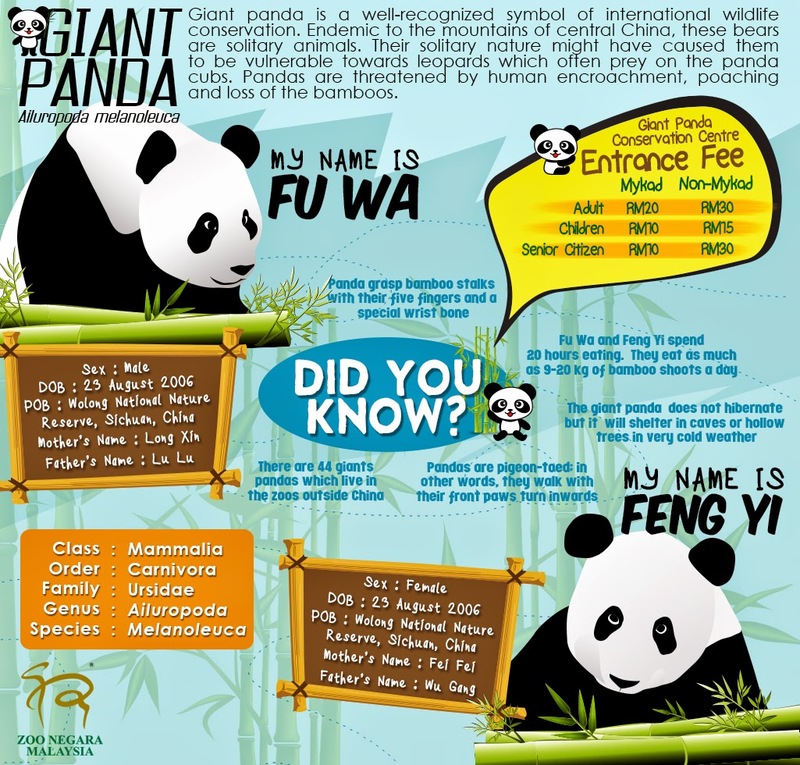 Have you visit the two giant panda? Are you planning to visit them with your family?